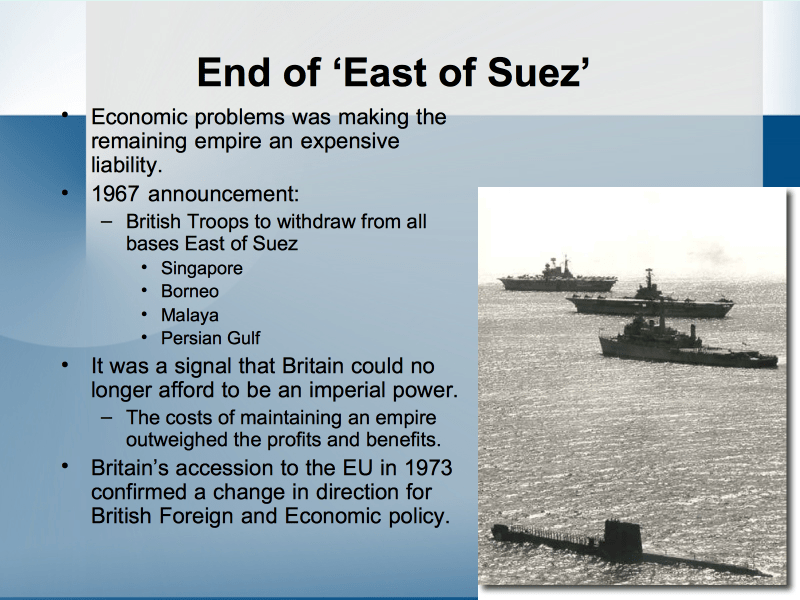 In 1971, the last Royal Navy squadron east of Suez departed for home, leaving a power vacuum. It seemed logical the US would replace the British. The US, however, was overextended; in part because of Second Indochina, but equally, since President Lyndon Johnson had said American could have both guns and butter, his Great Society programs – a policy President Nixon continued. America was running out of money. 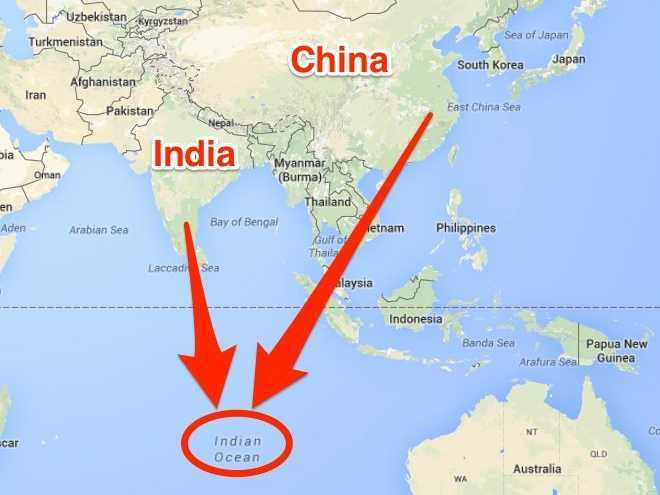 So the Indian Ocean became a no-persons-sea. The expanding Soviet Navy had ambitions to dominate the ocean; but also lacked the resources. UK Royal Navy has to right size based on economic limitations. The US in the 1960s and 1970s maintained 15 carriers, allowing five to be deployed forward. Two were with 6th Fleet, three with 7th Fleet. Had the US decided to occupy the Indian Ocean after 1975, it would have required six carriers forward: two each in the Mediterranean, West Pacific, and the Indian Ocean. That required 18 carriers; also a new Marine division/airwing in the Indian Ocean and at least one tactical fighter wing. This was an impossible commitment. 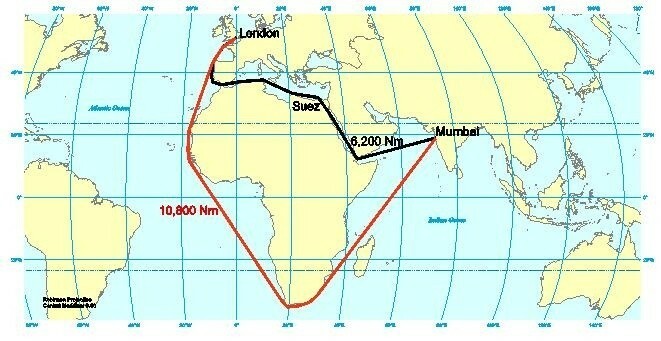 Illustration of why the Suez Canal is still important today. 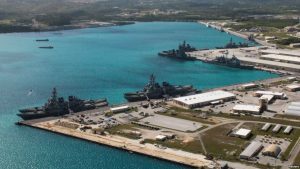 Though India did not become friendly to the US until the 1980s despite US efforts since 1948 to enlist India as an ally, the unspoken assumption was the growing Indian Navy would protect the ocean’s sea-lanes. The Indians, however, operate on Eternal Time, where ages come and go, and nothing changes. For the last 30-years, India’s defense spending as a percentage of GDP has fallen. The figure of 2.5% for 2017 overstates the case as it includes pensions and other spending which is ordinarily excluded; actual defense expenditure is 1.9% of GDP or $44-billion. Meanwhile, China also spends 1.9% – but its GDP now is 5-times larger than India, and defense is about $200-billion. In 1978 India and China were equal in GDP. China is already second in global defense spending after the US. Originally it planned to achieve great power status by 2045-50, and leading superpower by 2070. Michael Pillsbury was one of the first Americans to see this in 1995. But the collapse of American power internally and externally has led Xi to shift the date of great power status by 2035 and likely 2050 to overtake the US militarily (these dates are my estimates). By 2030 China will overtake the US in GDP. Should it wish, it can easily equal the US in annual defense spending by that date. I have argued that China is already a great power, as it dominates Asia. The other “great powers” like Russia, France, and the UK are at best regional powers. It is absurd for the UK, for example, to claim great power status with eleven army brigades, 27 blue-water warships/attack submarines, 4 SSBNs, and 150 first-class fighters. If China doesn’t control the South China Sea and Indian Ocean, they can be choked to death from afar. 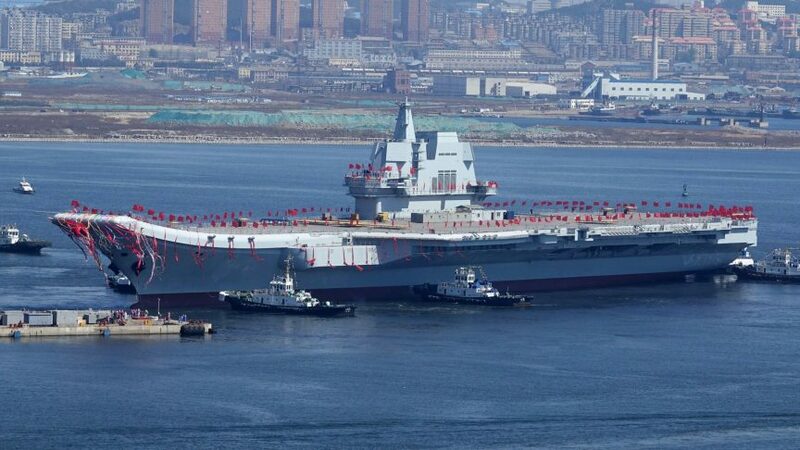 The Chinese navy today has two carriers in commission (includes 1 training); one in trials, and one starting construction. The only thing holding back China from more is lack of carrier operations experience, which it is diligently developing. It has 29 destroyers and will soon start commissioning a new class of 13,000-tons, with six building and more planned. It has 43 frigates and 43 submarines. The latter will increase to 80 submarines according to US estimates. It has six Marine brigades, by 2019 will have six 20,000-ton LSDs, and is building a new class of 40,000-ton LHDs. Americans seek comfort in that the US Navy is far superior to China’s. This is correct. Yet, in 20-years China has built the world’s second largest blue-water, and its shipyards turn out 14-18 new warships annually. In another 20-years, it could have 250 blue-water warships. People’s Liberation Army Navy (PLAN) Carrier. One of many to some. We could argue, so what? US Navy will still thrash the Chinese. It’s likely. But then look at Japan and Russia in 1905. 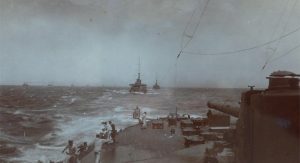 The Japanese started to build a proper modern navy only in 1882. 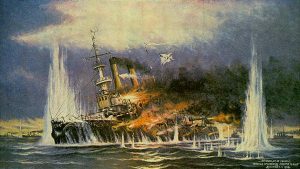 In 1905, at Tsushima, they destroyed, captured, or disarmed 34 of 38 Russian warships. China started to build a blue-water navy only 30-years ago. 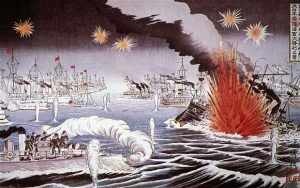 The Battle of Tsushima shocked The West. Summary of the battle. It was a route for Czarist Russia. Even in 2035, the US Navy will remain the most powerful in the world. But that is not relevant because the exchange ratio will force the US to avoid battle unless core US interests are at stake. Already the Chinese inflict heavy losses within the First Island Chain. 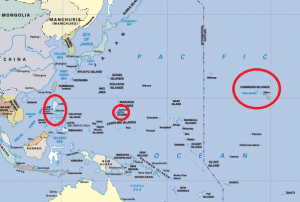 China is moving on the Second, i.e., west of Guam. By 2050, it will dominate within the Third Island Chain, based on Hawaii, which is to say the West Pacific. It will have long before dominated the Indian Ocean, contesting the Mediterranean, and cruising the America’s west coast on a regular basis. In the Indian Ocean littoral, China already as naval access to Burma, Sri Lanka, and Pakistan. 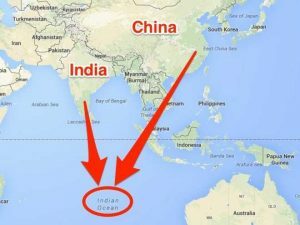 It has pushed India out of the Maldives, is moving on the Seychelles, has its first permanent naval and marine base at Djibouti. Currently, I assess it has a capability of sustaining 6 warships year around in the Indian Ocean and can surge 20. We left Subic Bay. Still have Pearl and Guam. 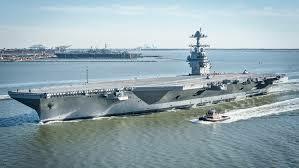 USS Ford Class Super Carrier. 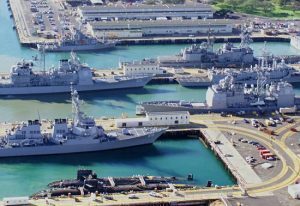 US Ships at Pearl Harbor. Meanwhile, the US will be tearing itself apart on internal political battles, not national security commitments. I am not apportioning fault. Ultimately each of us is culpable. I’m saying only that if we are not committed to protecting our global interests, the Chinese are quite happy to take over from us.